ISLAMABAD: The Supreme Court (SC) on Tuesday constituted a bench to hear the National Accountability Bureau’s (NAB) plea challenging the Sept 19, 2018 order of the Islamabad High Court (IHC) suspending the imprisonment sentence awarded by the accountability court in the Avenfield reference to former prime minister Nawaz Sharif, his daughter Maryam and son-in-law Captain (r) Mohammad Safdar. Chief Justice of Pakistan (CJP) Mian Saqib Nisar will head the bench comprising Justice Umar Atta Bandiyal and Justice Mushir Alam. The court has issued notices to all the parties in the case and is going to initiate the hearing from Wednesday. Earlier on Monday, the anti-graft watchdog had challenged the IHC order of suspending the Sharifs’ jail term. In its appeal, NAB had contended that the IHC failed to appreciate that through its order, it had seriously prejudiced the case of the prosecution by holding that the trial court judgement suffered from obvious and glaring defects and infirmities and that the convictions and sentences handed down to the accused might not be sustained ultimately. Last month, the high court had set free Nawaz Sharif, his daughter and son-in-law after accepting their petitions seeking suspension of the sentence awarded to them by an accountability court of Islamabad on July 6. 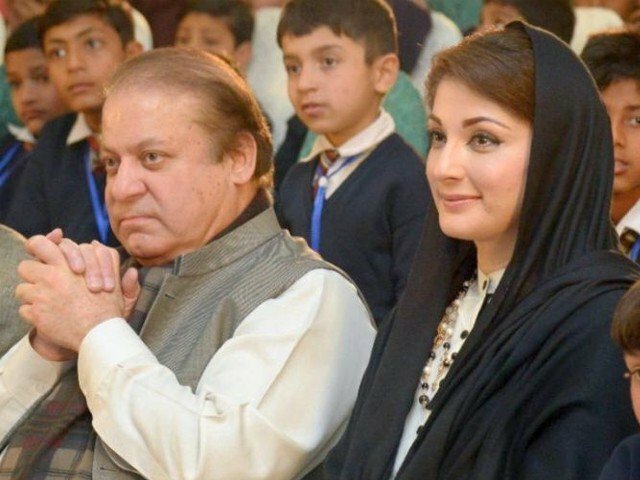 The accountability court had awarded 10 years imprisonment to Nawaz Sharif, seven years to his daughter and one year to his son-in-law in the Avenfield apartment reference. The NAB petition in SC argued that the conviction awarded to the Sharifs was based on cogent and tangible evidence, thus, the offence of corruption and corrupt practice stood proved. The appeal emphasised that Nawaz was the chairman of Messrs Capital FZE Ltd and the chief financier of the acquisition of the apartments in London through two offshore companies namely Nescoll Enterprises and Nielson. These aspects of the case required deep appreciation and a tentative assessment could not have been applied as observed in the high court order and that too in the absence of any cogent defence presented by the accused before the trial court, hence the same was not tenable and liable to be set aside, the appeal maintained.